Consumers should stop using and charging LayZ Board hoverboards after they were linked to a house fire that killed two girls in Pennsylvania, according to the U.S. Consumer Product Safety Commission. The government agency issued the consumer warning Monday following the March 10 house fire in Harrisburg, Pennsylvania, which is the first time the government has directly linked a hoverboard to a fatal fire. These hoverboards were manufactured in Shenzhen, China, and more than 3,000 units were imported into the United States, CPSC says. Hoverboards can be disposed of at local recycling center for safe handling of the lithium-ion battery. The LayZ Board is a two-wheeled, battery-powered, self-balancing scooter that has a pivoting platform intended for the rider's feet and does not have a handlebar. 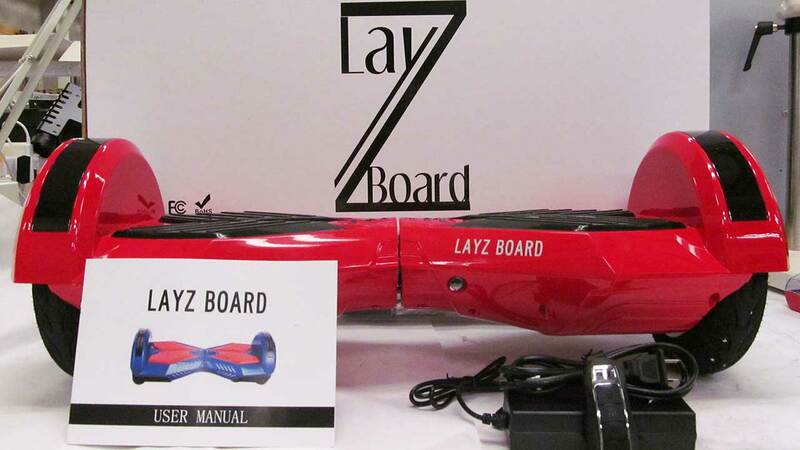 The name LayZ Board appears on the front of the product. "The fire risk with this product is serious. Consumers should immediately stop using and stop charging the LayZ Board-it's just not worth the risk to your safety and the safety of your family," said CPSC Acting Chairman Ann Marie Buerkle. "My thoughts continue to be with the families affected by this terrible tragedy. The cooperation of the families and the Harrisburg Fire Department has been critical to our investigation. I want to thank them for their time and help. Their information was key to CPSC announcing this safety warning." Last year, the government recalled more than 500,000 hoverboards from 11 companies after reports of more than 100 hover boards overheating. That number has increased since last year, a government source said. Hoverboard owners can visit CPSC.gov for safety information and to check to see whether the product they own has been recalled."